A toroidal transformer is a transformer shaped like a doughnut. It has a round iron core with a coil of insulated wire wrapped around it. 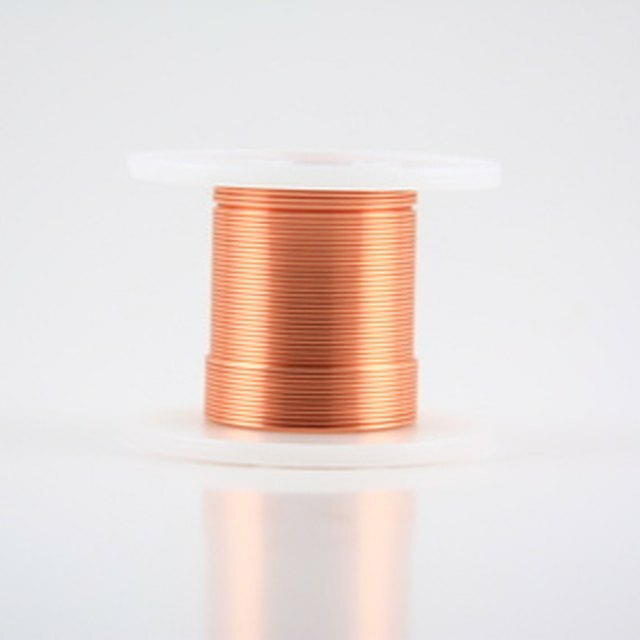 The iron core with the coil of wire is also called the "winding." Once powered, the winding generates a magnetic field and stores energy. The amount of energy is measured in units of inductance. As with most transformers, toroidal transformers have both a primary and secondary inductive winding, which is used to step down or step up the input voltage applied to the primary winding. Determine the number of turns in the primary winding of the transformer. Call this value "N." Refer to the transformer specifications. As an example, assume N is 300 turns. Find the radius of the transformer. Refer to transformer specifications. As an example, assume radius is 0.030 meters. μ0 = 4 * π * 10^-7 = 4 * 3.1415 * 10^-7 = 12.56 * 10^-7. L = [(12.56 * 10^-7)(300^2)(0.0028)] / [(2)(3.1415)(0.030)] = 0.000316 / 0.188 = 0.00168 henries or 1.68 millihenries. Chestnut, Dwight. "How to Calculate Toroidal Transformers." Sciencing, https://sciencing.com/how-8655759-calculate-toroidal-transformers.html. 07 August 2017.